Turning over rocks at the foot of the fossil cliffs is a great pastime for those with a passion for geology. 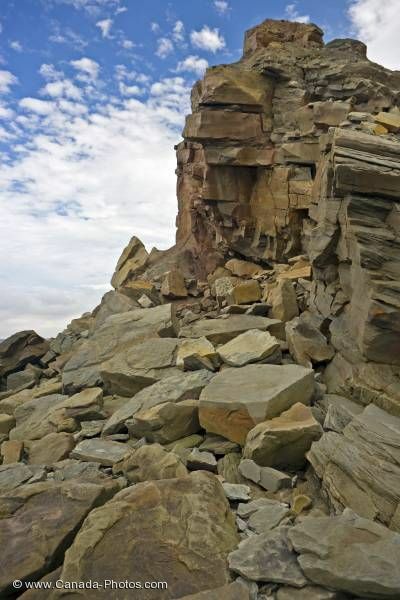 These fossil cliffs are found in the town of Joggins in Nova Scotia, Canada. Fossil Cliffs in the town of Joggins, Chignecto Bay, Bay of Fundy, Highway 242, Glooscap Trail, Fundy Shore Ecotour, Nova Scotia, Canada.